Posted in exhibition, gallery, news & events and tagged alternative venue, exhibition, galleryELL artists, governors island, group exhibit, new york, nyc, residency, studio practice, studio visit, transient gallery on 31 August 2011 by galleryELL. galleryELL’s artist-in-residence program continues on governors island. artists include john ros, james cullinane, joel bacon, & christine gedeon. last week kariann fuqua joined us from washington dc. this week we welcome matthew choberka from utah. next week nancy hubbard from brooklyn will join the artists on the island. view images of the studios. transient landscape, our group exhibition continues through 25 september 2011.
gallery hours: friday-sunday, 12-4p in august; saturday, sunday & labor day, 12-4p in september. view images of the exhibit. saturday & sunday, 24 & 25 september 2011, 12-5p. Posted in news & events and tagged alternative venue, artist-in-residence, galleryELL artists, governors island, group exhibit, residency, studio practice, studio visit, transient gallery, works in progress on 12 August 2011 by galleryELL. an evolving group exhibit which takes a broad look at the influence of our ever-changing landscapes — physical and psychological — through a variety of media. an artist-in-residence program, with open studios on saturday to give the public an inside look at our galleryELL artists at work. Posted in news & events and tagged exhibition, galleryELL artists, governors island, group exhibit, new york, nyc, residency, transient gallery, works in progress on 27 July 2011 by galleryELL. on behalf of galleryELL i would like to introduce you to transient landscape: visualizing governors island, a new group exhibit and artist-in-residence program coming to governors island this summer. this two-part project will include an evolving group exhibition, entitled transient landscape, which takes a broad look at the influence of our ever-changing landscapes — physical and psychological — through a variety of media, as well as a concurrent artist-in-residence program, visualizing governors island, which will give the public an inside look at our artists at work. this project will run from 22 july through 25 september 2011.
the majority of expenses for each galleryELL event are carried by our artist members. due to the size and scope of transient landscape we are reaching out to you to ask for some form of sponsorship. financial donations will be graciously accepted and will help fund exhibition costs including packaging/shipping, installation materials, marketing, insurance, and other related expenses. last year, governors island received more than 443,000 visitors during its 2010 summer season, and even more are expected in 2011. we are very excited to have the potential to reach so many people and share our mission and our work with the public. we would love to have you be a part of that experience. should you choose to donate to our event, your generosity will be recognized by adding your name to a credit panel that will hang at the entrance of the gallery space on the island. galleryELL is a transient, brooklyn-based gallery comprised of active artists who look beyond daily practice by reaching out to members of our community and to the community at large, sharing resources, ideas, and creativity through camaraderie. we see the idea of transience as part of all of us and as part of the cities in which we live. recently we have had successful exhibits both locally and internationally. to find out more about galleryELL visit galleryELL.com. we thank you for your generous support. you help bring great art to the people of new york! Posted in gallery and tagged alternative venue, donations, galleryELL, galleryELL artists, give, governors island, residency, studio practice, transient gallery on 17 July 2011 by galleryELL. 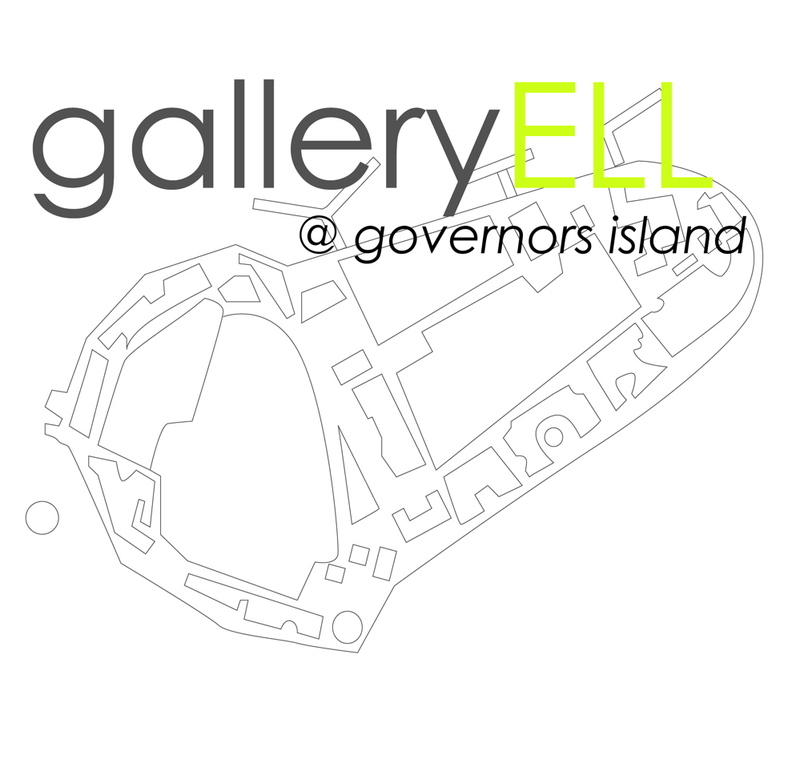 galleryELL is pleased to announce that we will be part of the 2011 season at governors island with transient landscape: visualizing governors island. this two-part project takes a broad look at the influence of our ever-changing landscapes — physical and psychological — through a variety of media, as well as gives the public an inside look at our artists at work. Posted in exhibition and tagged alternative venue, artist-in-residence, exhibition, gallery, galleryELL artists, governors island, group exhibit, new york, nyc, residency, studio practice, studio visit, transient gallery, works in progress on 04 July 2011 by galleryELL. If you haven’t had a chance to go see Annie Varnot’s installation “Oh Varian Sea,” at Rockland Center for the Arts, in the exhibition, “Flowers Follies, and Other Rites of Spring,” I highly recommend it. The show is fantastic. I hope to post images of the work soon. Come mid April Annie Varnot will be packing her bags for two months to go out west. She will be meeting artist and adventurer, Christy Georg, to hike the southern portion of the Pacific Crest Trail for three weeks. Following her hike, she will travel to Banner, Wyoming, where she will explore her drinking straw work at Jentel Artist Residency. Posted in artist event and tagged annie varnot, galleryELL artists, jentel artist residency, mixed media, pacific crest trail, residency, sculpture, works in progress, wyoming on 21 March 2011 by annievarnot2. Varnot attending A.I.R. at Weir Farm, December 2010. I have returned to Weir Farm for the month of December. I am focusing on work I relate to winter. I have started five subtle tree watercolors with minimal narrative elements relating to the site. In addition I am sinking chicken eggs I had previously drained into baggies of hydrocal. Once finished, the accumulation of the eggs peaking out of plaster bags will become a larger modular floor or wall installation. I am also working on some tree cut outs and may or may not continue with some drinking straw work…we’ll see! Annie was recently notified by the Headlands Center for the Arts that she was selected as a finalist for their Artist in Residence Project Space. Unfortunately, in the end, she was not selected…. Posted in artist event, news & events and tagged annie varnot, galleryELL artists, headlands center for the arts, installation, project space, residency, studio practice, studio visit, weir farm, works in progress on 07 December 2010 by annievarnot2. Loren Erdrich is spending the summer of 2010 at artist residencies. She was a funded resident at Sculpture Space in Utica, NY for June and July where she initiated a new body of work, incorporating new materials and subject matter. Below are some studio images of works in progress. Beginning August 1st she will be at Art Farm in Marquette, NE. Posted in artist event, news & events and tagged art farm, galleryELL artists, loren erdrich, marquette, nebraska, new york, residency, sculpture, sculpture space, studio practice, utica, works in progress on 03 August 2010 by lorenerdrich.